Today is almost like another rest day on the bike, but first a few words about our actual rest day! 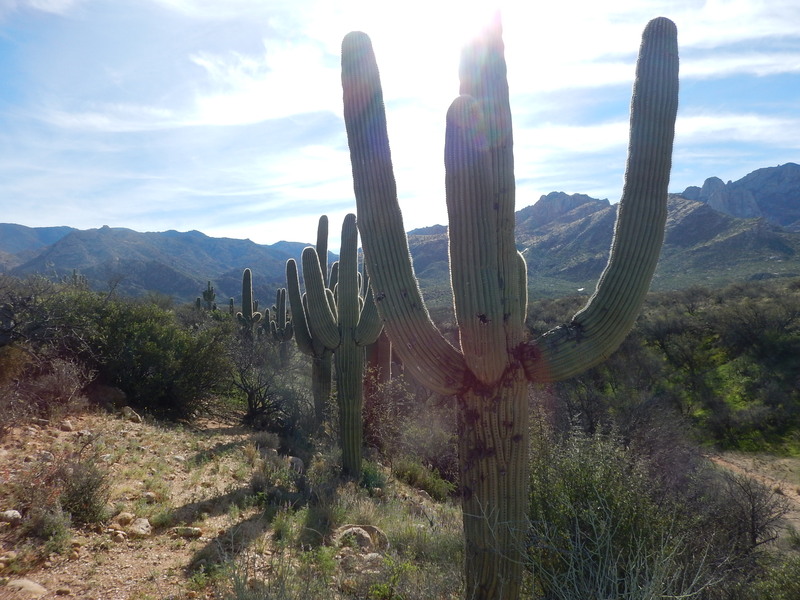 We truly enjoyed our stay in Catalina State Park. Gorgeous scenery, great campsites and lovely bathrooms and showers make us very happy. 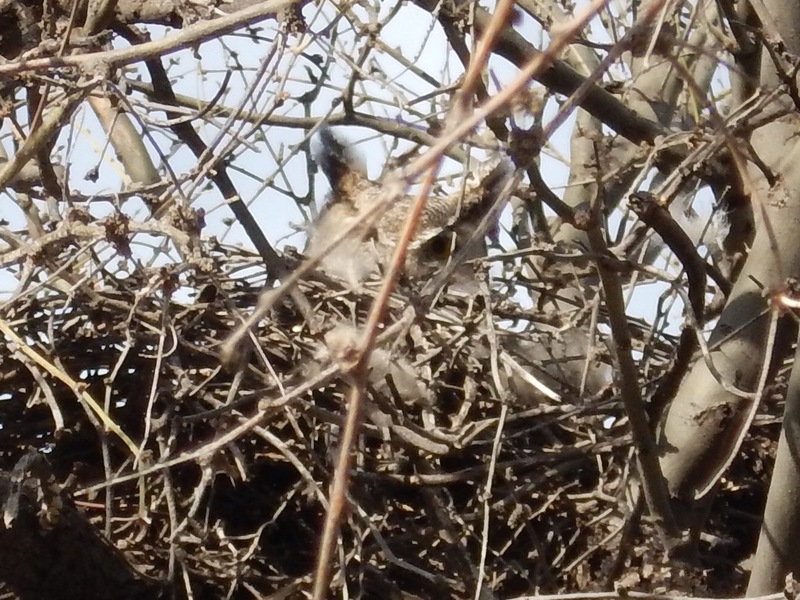 The owl above tent 6 spends two nights hooting at us and depositing gifts on our tent. 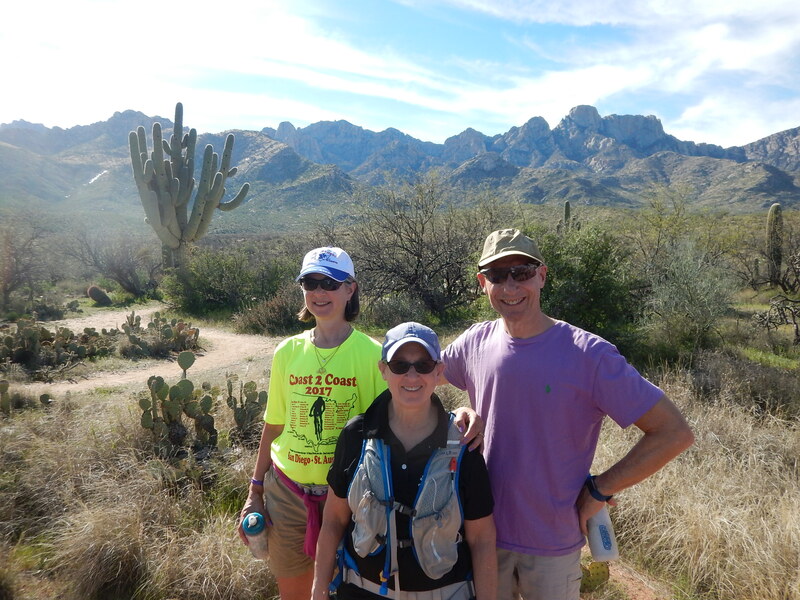 Sister Stacie stays overnight and joins us for a morning hike. Ranger Jonathan leads us on an archeological adventure and we learn about the Hohokam people who lived in this area in 500AD. 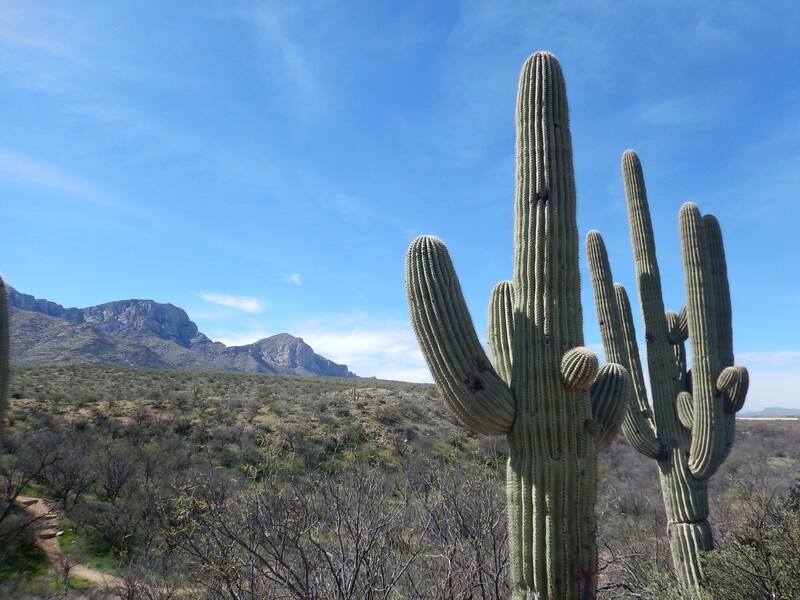 We get up close and personal with old, very impressive Saguaro Cacti and we learn about an ancient civilization. 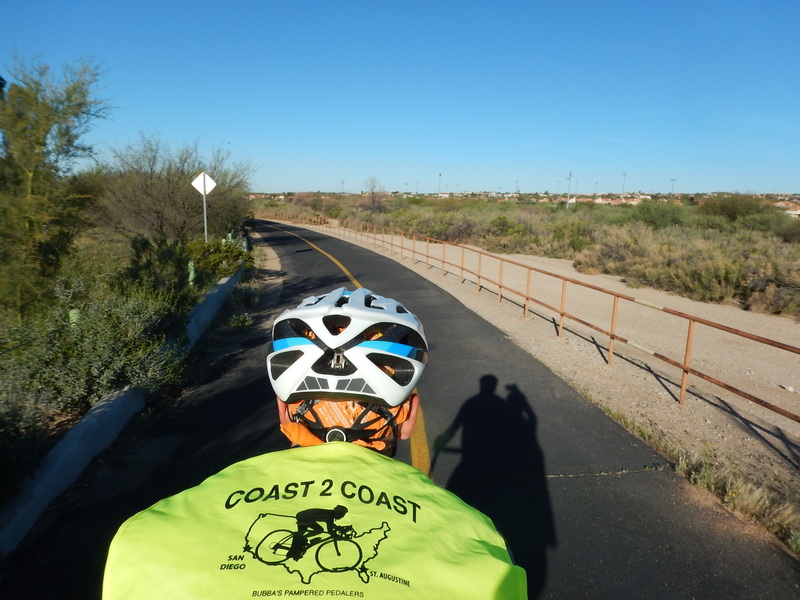 We are now in East Tucson after a very enjoyable, short, fairly easy ride on bike trails. We hit 500 miles today. 2500 to go! This could be our easiest day for awhile. 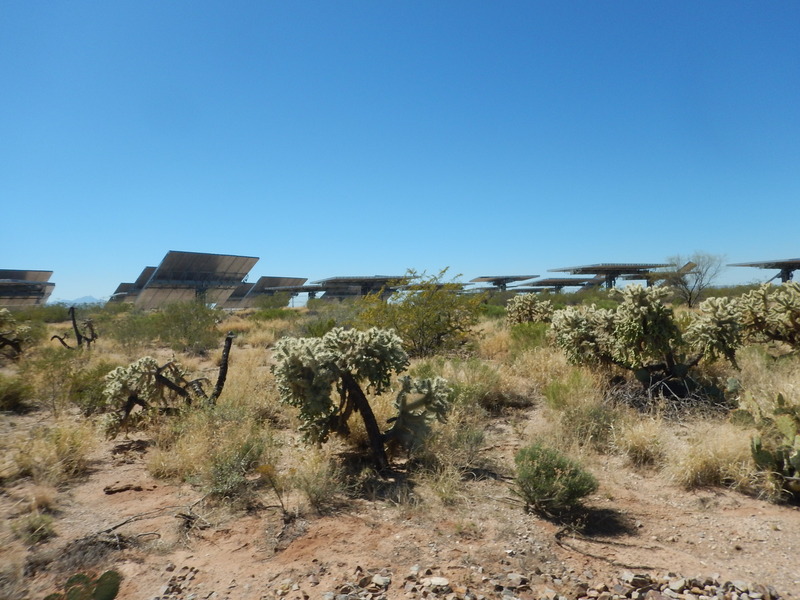 We know we aren’t in the Sonoran desert anymore because here, near Tucson we see prickly pear, a form of cactus trees and the largest solar panels ever. 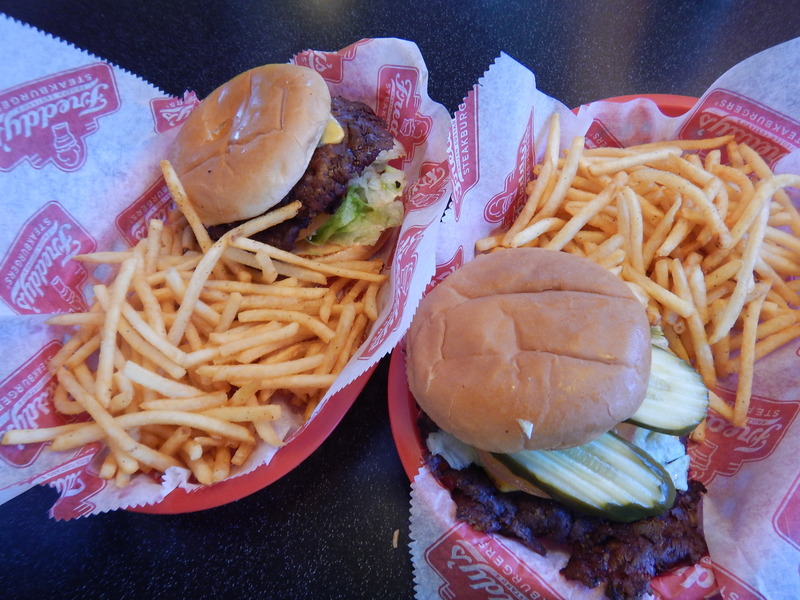 Lunch is at Freddy’s, which is a combination of Steak and Shake, Ruby’s and Five Guys! The French fries are fresh and very crispy. 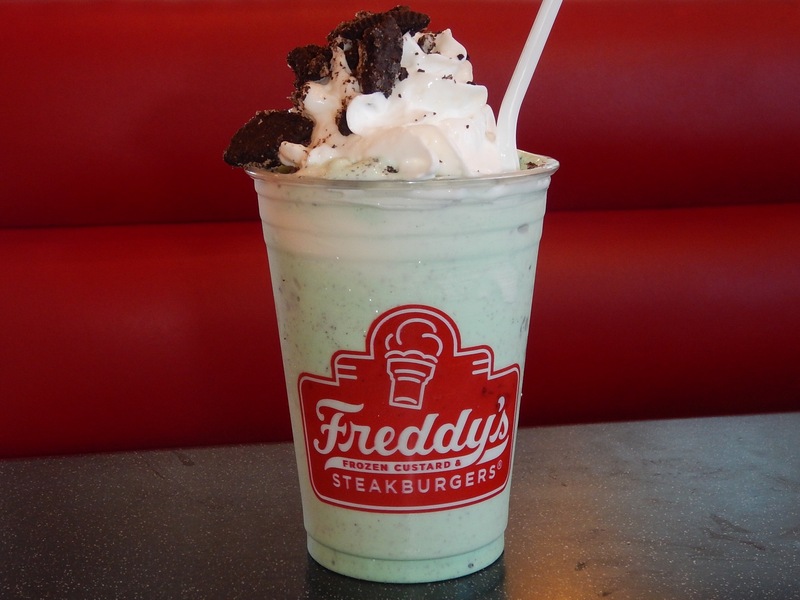 Our (shared) kid-sized custard creation is minty with Oreo cookies and really hits the spot. The RV resort in East Tucson has a pool and hot tub. We enjoy some water time before tomorrow’s climb into Tombstone, one of Arizona’s most famous cities. Too bad you didn’t have time to see the Pima Air & Space museum. It’s pretty fascinating. Love following your adventure! Rode by it…no time to visit though! Thanks for sharing! You bring smiles to our faces! When we read your blog before going to bed…..we get hungry. Food pics….yum-my! Somebody make Cliff a burrito! to ride along with you in the sunshine. Happy trails to you!